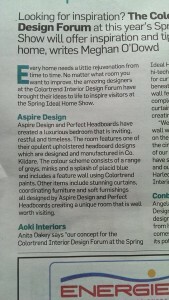 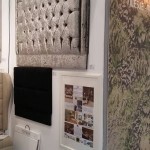 What an amazing month April has been for both ‘Perfect Headboards’ and my Interior Design practice ‘Aspire Design’. 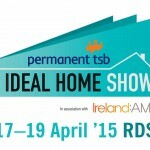 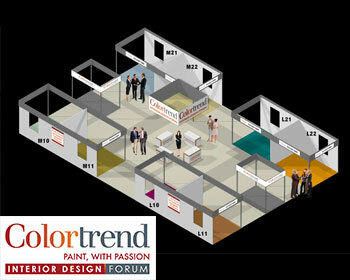 It all started with us been awarded a Room-Set at Colourtrends Interior Design Forum at the Ideal Home Show in the RDS….but who was to know what a roller coaster month it would be. Then came the day for creating our Room-Set and putting together our Interior Design scheme. 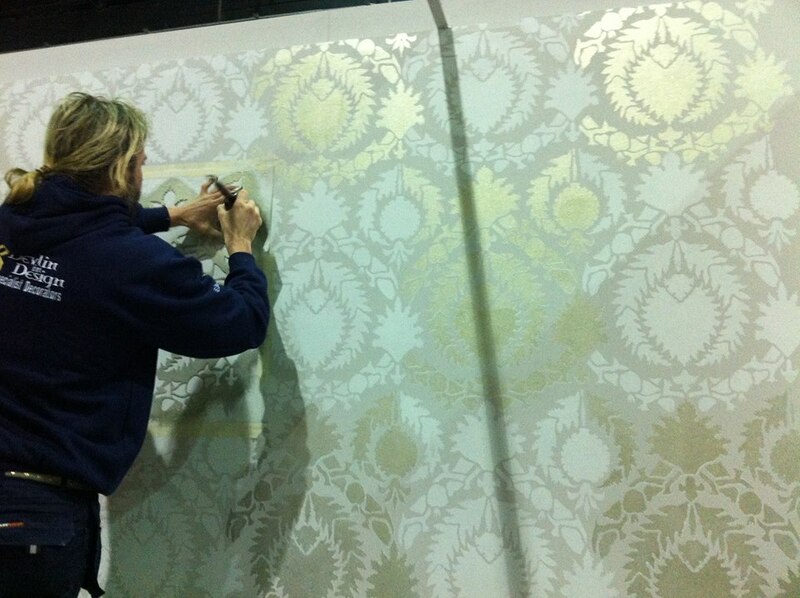 Our stencilled wall created a real talking point. 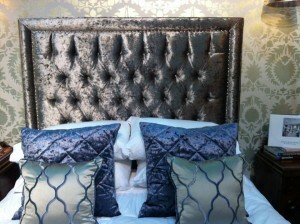 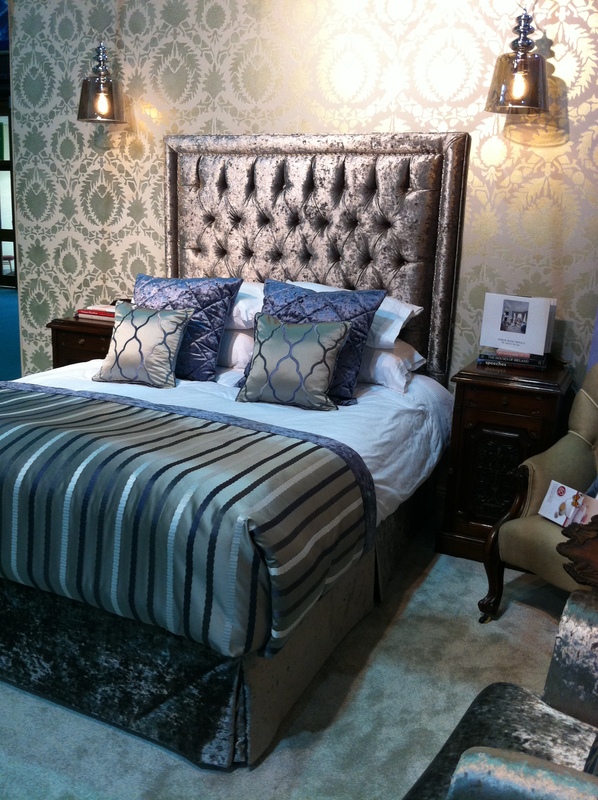 Once the wall complete we could start showcasing our beautiful upholstered headboard and furniture. 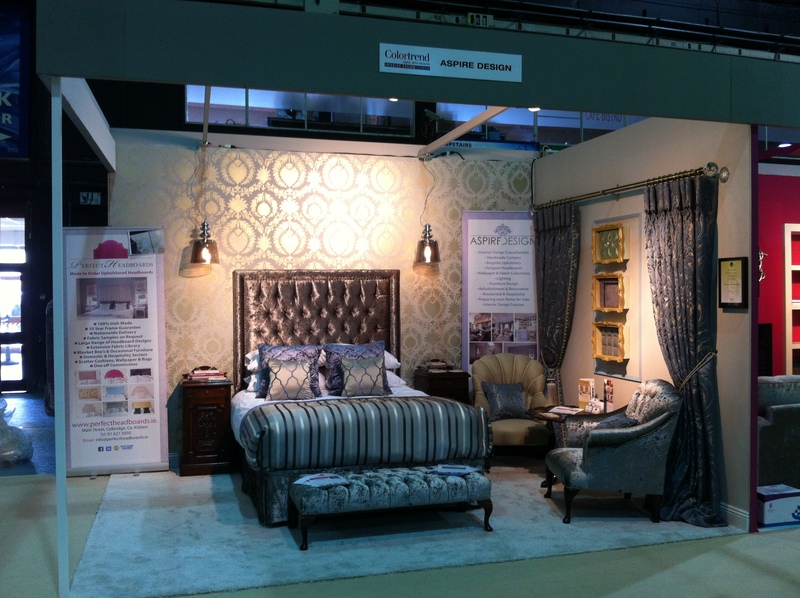 Our stunning carpet from West County Carpets in Naas, Co. Kildare looked magnificent and received plenty of positive comments. 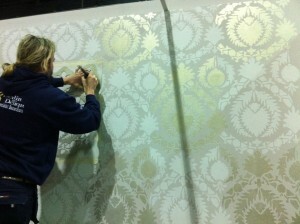 Our light fittings were from National Lighting and they complemented our Moroccan styled wall stencil perfectly. 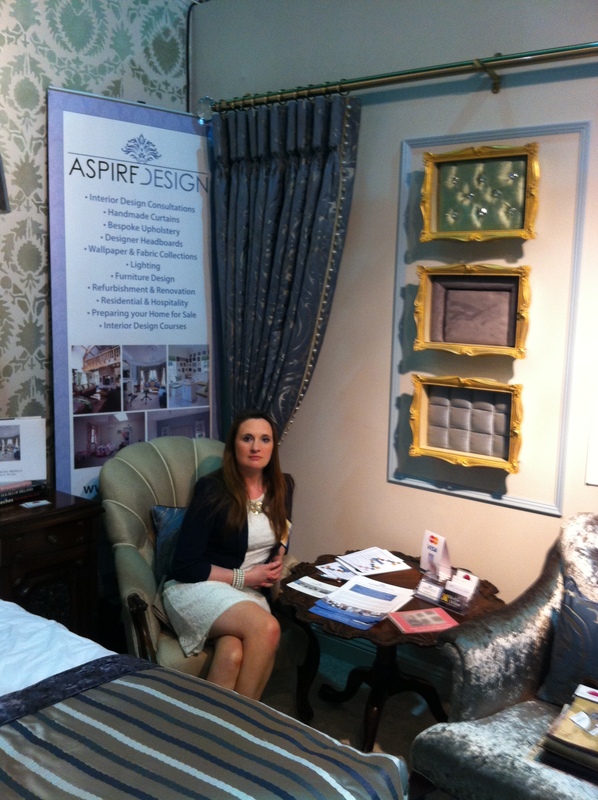 Our curtains with their luxurious trim and goblet style heading were another talking point. 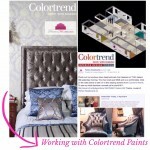 We were delighted to see our Bedroom Chair featured on TV3′s Ireland AM with their interview with Colortrend Paints. 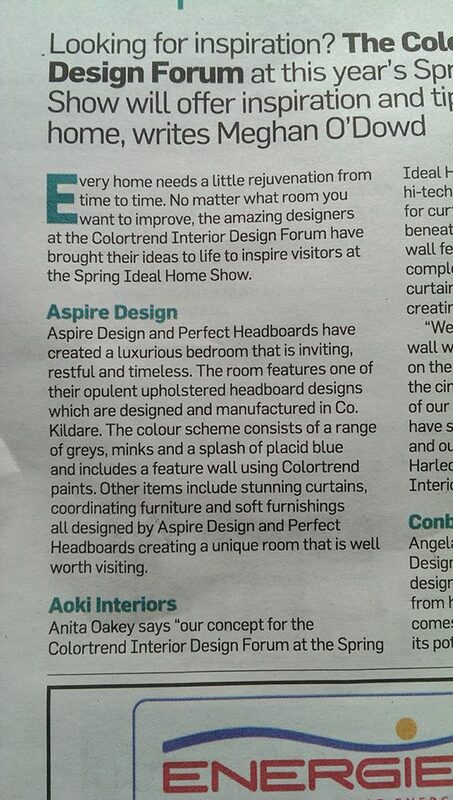 Here’s the link to the clip from TV3′s Ireland AM….Our Bedroom chair featured in Interview with Colortrend …a major highlight. 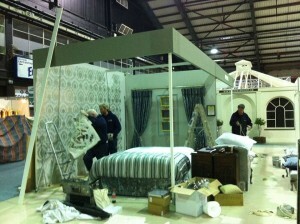 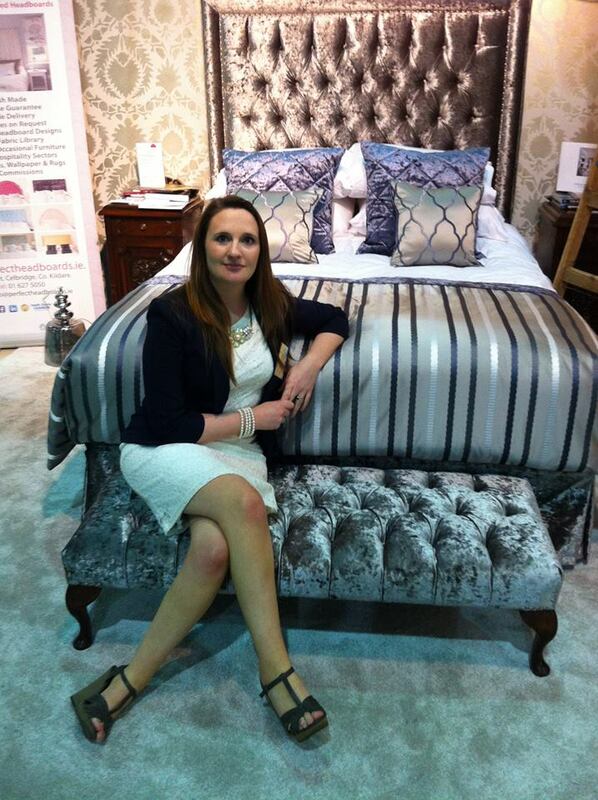 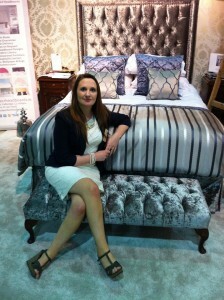 The show itself was a great success and I met many new clients and made many headboard sales. 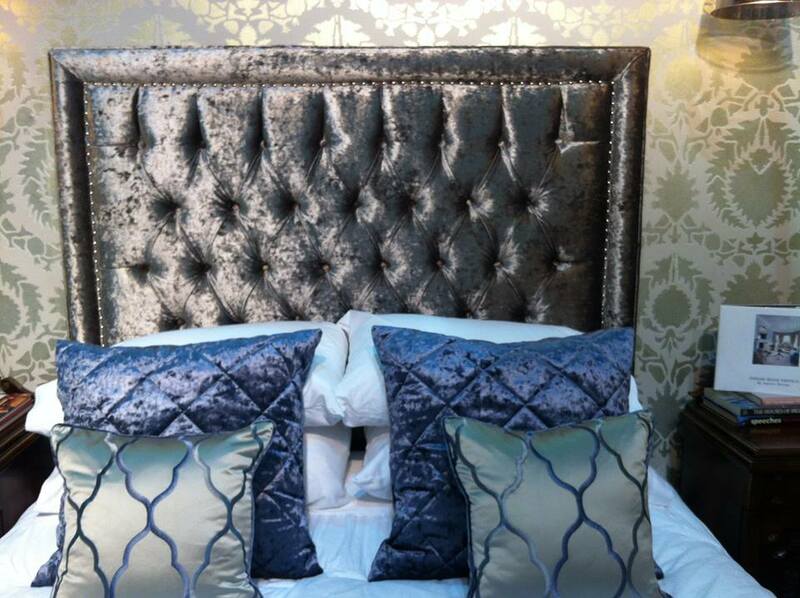 I’m looking forward to the busy year ahead with the new contracts I’ve secured which included hoteliers as well as domestic customers.